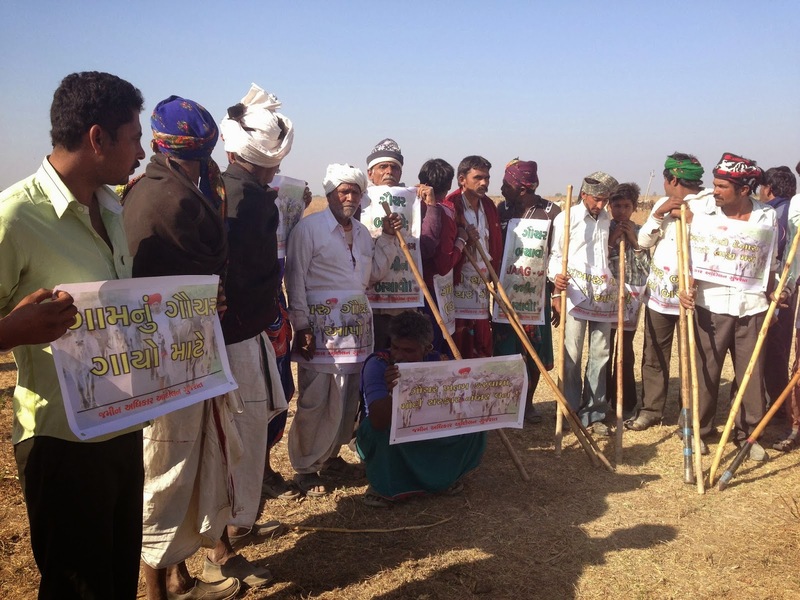 The cattle rearing population of Hansalpur village and surnding areas of North Gujarat region, where the state government has handed over 699 acres of land to the Maruti-Suzuki Ltd to set up a new auto manufacturing unit, was restrained from taking out a protest rally from Hansalpur to state capital Gandhinagar. A statement issued by Jamin Adhikar Andolan Gujarat (JAAG) said, when at around 10.00 am, with 500 cows, the maldharis were about to begin their march, “the police resorted to unprovoked and sudden lathicharge”. Alleging oppression, JAAG said, it will remain “steadfast” till “democracy in the real sense is restored in Gujarat”, and two “anti-farmer” laws -- the Special Investment Region (SIR) Act, 2009 is abolished and the Gujarat Irrigation and Drainage Act, 2013 -- are abolished. Demanding that “the police officers responsible for this reprehensible act are suspended with immediate effect”, JAAG asked for the institution of “judicial inquiry into this incident”. This was the first major attempt of JAAG to protest following its victory in forcing the state government to downsize the Mandal-Becharaji SIR from 44 villages to just eight in August 2013. Maruti Suzuki’s proposed plant is to take shape in the newly constituted SIR. While rich farmers in the squeezed SIR have reportedly gained because of a higher land price, the poor farmers, who depend solely on land for livelihood, are starting to feel the pinch.